The oil and gas industry caters to the fuel requirement of the society on a global scale, by exploration and extraction of fossil fuels, underneath the ground surface or the ocean floor. An area where oil wells are discovered in close proximity are called as oil fields and these oil fields are usually very large in size, spanning to a very large expanse, as large as hundreds of kilometers. Once the concession rights are obtained, seismic research conducted, the exploratory drilling operations begin. The oilfield drilling renders large quantities of drilling cuttings, that could be understood as drilling waste. The unfortunate side effect of such quests is a long trail of carbon foot prints that these operations leave behind once the operations carried out. Ranging from contaminated groundwater to oil spillage during transportation of oil. But the good news is that the increasing environmental awareness and the advancement of technologies in the field are giving rise to safer drilling operations. Companies are investing in research projects to obtain better insights to learn modern technologies to deal with drilling fluid and drilling waste management. 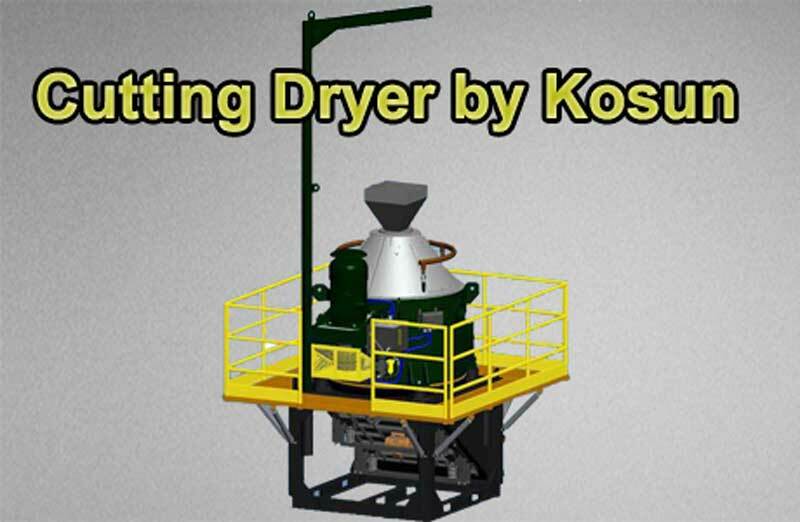 One such big leap in this direction is the popularity that oilfield drilling cutting dryers are gaining among operators. A good solid control equipment help in separating the drilling fluid from drilling solid waste or drilling cuttings. Vertical cuttings dryer uses centrifugal force generated by mechanical rotation to separate liquid from solid that results into drier and reduced solid drilling waste and increased profit for the operator by recovering the fluid from the drilling waste. Then this dried and reduced drilling waste is taken for disposal using various methods like land-spreading, land-framing, evaporation and burial onsite, incineration and other thermal treatment, underground injection, bioremediation and composting, and reuse and recycle, etc. So the vertical cutting dryer plays an important role in the entire process of drilling waste management system.